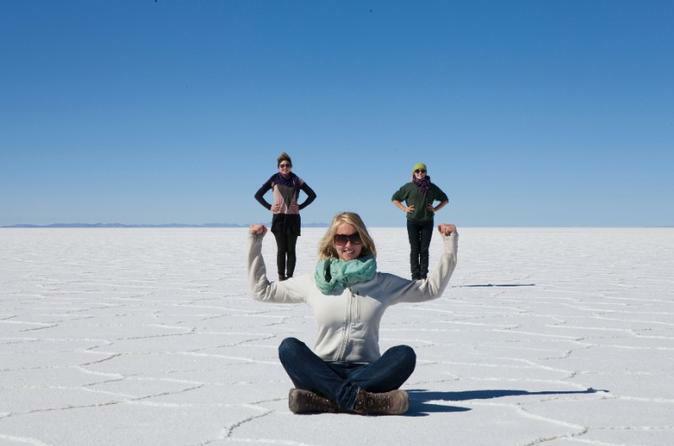 If you are traveling to Bolivia, a day trip to the Uyuni Salt Flats is something that can't be missed! Cruise along out-of-this-world landscapes and take incredible perspective photos in the world's largest salt flats. 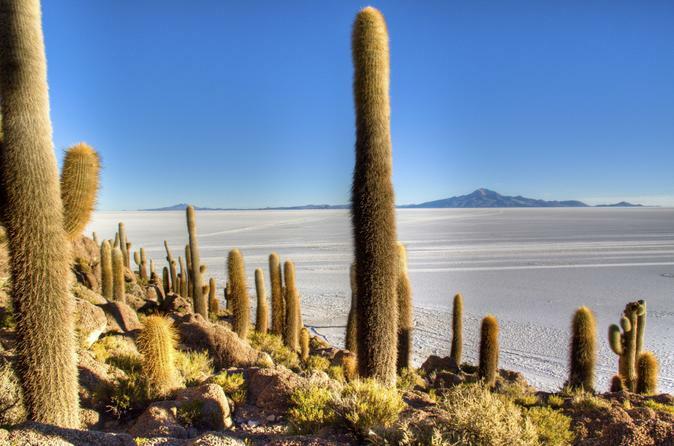 Embark on a private, guided full-day tour to the renowned Salar de Uyuni, the largest salt flats in the world. 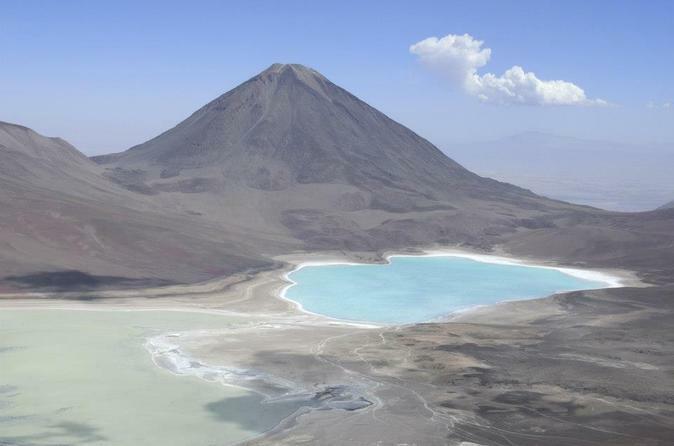 You’ll be picked up at your hotel in downtown La Paz and transferred to the airport for a flight to the town of Uyuni. 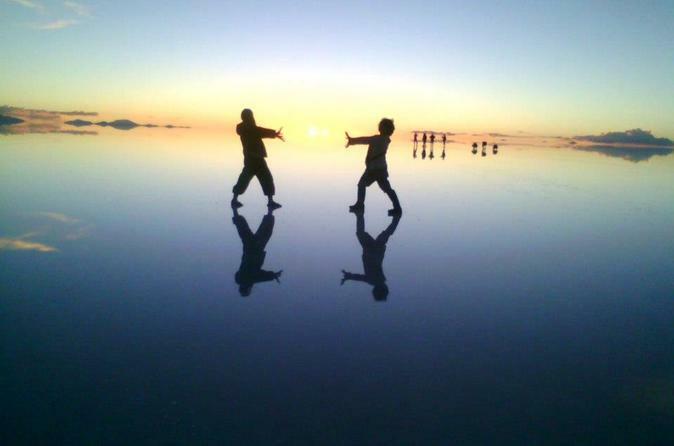 The visit to the salt flats is an unforgettable adventure. You’ll visit the legendary Cactus Island and eat lunch in the center of the flats. And at the end of the day, you’ll fly back to La Paz and be taken back to your hotel. 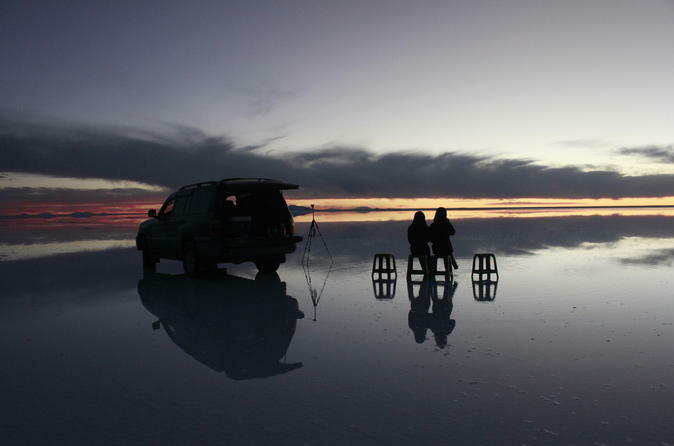 Salar de Uyuni is an incredible place where we can appreciate spectacular landscapes reflected by the water and where you can take surrealist photographs, at dawn and dusk. 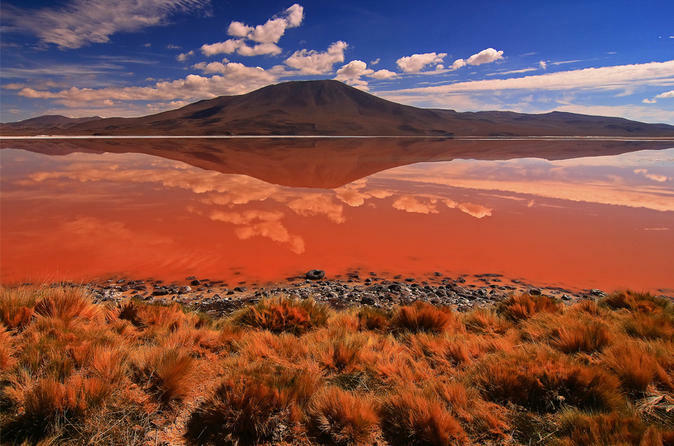 Join this 3-day tour in Salar de Uyuni sharing with more people interested in the visiting this surreal landscape of desert and colored lagoons of the Ecuador Avaroa Reseve. In winter, called dry season from May to October, when the surface hardens, geometric figures formed by the salt particles agglomerated into polygons appear. In summer, rainy season from November to March, the salt desert is transformed into a giant mirror that blends into the sky of the purest blue you've ever seen before. We begin an unforgettable trip through 12,000 km² of fantastic landscapes of salt and surrealist landscapes of deserts and colored lagoons of the Eduardo Avaroa Reserve. The dazzling white mantle of the Salar de Uyuni resembles an immense glacier. In winter (dry season from May to October), when the surface hardens, geometric figures formed by the salt particles agglomerated into polygons appear. In summer (rainy season from November to March) the salt desert is transformed into a giant mirror that blends into the sky of the purest blue you've ever seen before. 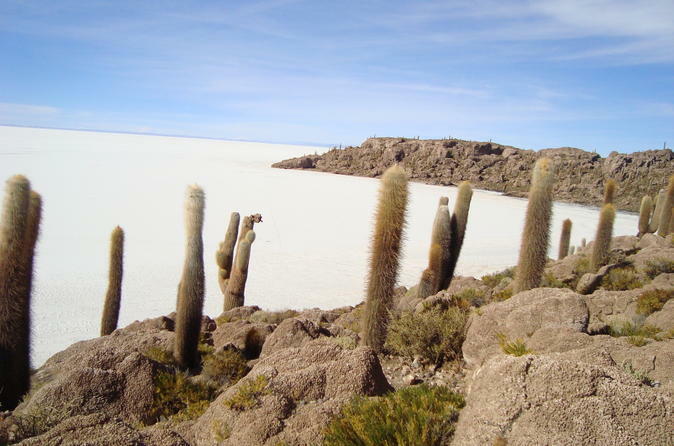 The most complete tour you can get for a full-day in the Uyuni Salty desert including the most important attractive sites you can discover: The Train Cementery, Colchani, Island "Inka Wasi" and Volcano Tunupa. 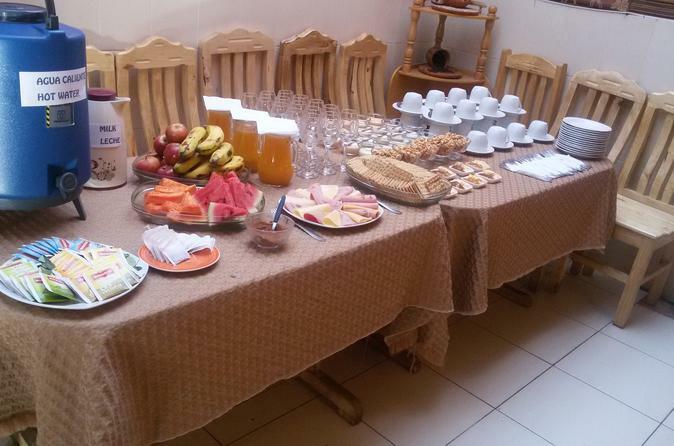 With a vibrant city as Uyuni in the morning, you need to make sure you start your day off correctly. This tour will show you the best cafes in the area for both food and people-watching.